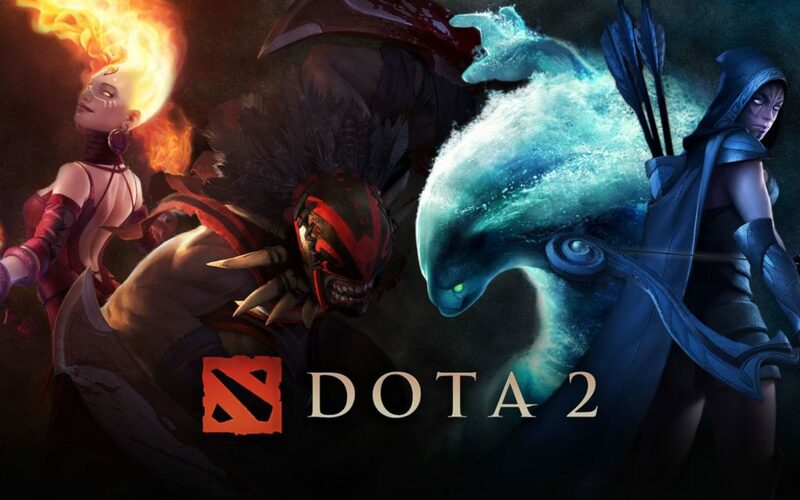 Are you a League of Legends or DOTA2 player? How smart are your teammates? Real-time strategy games like those in the StarCraft series have competitive modes where players manage armies and economies from an overhead perspective in order to conquer their opponents. Games are played on maps that contain resources like minerals and gas. Those resources are collected and used to build and upgrade a base full of buildings. Those buildings produce a wide array of military units that are sent out to scout for and battle with the enemy. Some units are more or less powerful against other units –imagine a sophisticated version of rock/paper/scissor but with better graphics and more objects in play. Many more objects, because StarCraft games have three different factions a player can choose from, each of which has dozens of possible units and structures. Memorizing all those units and being able to recall how they each interact is no small feat of long term and working memory. Plus deciding on the composition of one’s army requires logical reasoning and problem solving: a player’s choice of what buildings and units to build should be informed by what her opponent is doing. Thus effective scouting and information gathering are as important to the game as martial might and resource management. …It’s all mind bogglingly complex. Even if you had several galaxies on which to write a table of strategies and counter-strategies, it wouldn’t be enough since everything happens in real time and, unlike in games of chess, a StarCraft player only has partial information about what her opponent is doing at any given moment. So, as I asked at the top of this post: Does that mean that accomplished MOBA players are generally smarter than other people? A team of researchers from the University of York in the UK decided to try and answer that question recently.3 In their first study, they recruited 56 veteran League of Legend players and correlated their rank in that game with measures of their fluid intelligence (think IQ or intelligence; close enough for this discussion). They found that indeed, one’s LoL rank correlated with one’s fluid intelligence. In a second study, the researchers gathered much larger data sets containing information on thousands of League of Legends and DOTA2 players, as well as information on thousands more who played the first person shooters Battlefield 3 and Destiny. They found that similar to how fluid intelligence changes with age, player performance followed similar patterns where it would peak in the mid 20s and then decline until they became obsessed with senior discounts and eating dinner at 4 pm. But unlike the FPS games, performance in the MOBAS started out lower than its peak, suggesting that more than just fast reflexes were responsible. In short, the MOBA games followed the low/high/low pattern in youngest/middle/oldest groups more similar to how fluid intelligence changes. The FPS games only followed a high/high/low pattern that didn’t match as well. Collective Intelligence, which the researchers consider as intelligence at the group level and measured with an hour-long assessment of the whole team, was compared to LoL performance data taken directly from the game. In all, 248 five-person teams were studied and a strong relationship was found between Collective Intelligence and competitive performance in the game. I will, of course, join all these authors in reminding everyone that this is a correlational study and doesn’t prove anything about causation. One could argue that playing MOBAS makes you smarter, but one could also argue that smarter people gravitate towards MOBAS more than they do other types of games or games in general.5 But this study and a few others like it illustrate an interesting duality in that games sometimes get a bad rap for being mind numbing. Yet the most popular games simultaneously have a reputation for being mentally and perceptually overwhelming and having a learning curve that demands prolonged, focused mental effort. Those two things don’t compute in the face of this study. Also noteworthy is the fact that this research was done on four major games that people outside of psychology laboratories play. Most other research on video games and brain training work with games that are either custom made to be basically gamified IQ tests6 or heavily modified versions of games.7 This study used literally four of the most widely played AAA video games of our day. That’s nice to see and I hope we get more of it. 1. Madigan, J. (2016). Getting Gamers: The Psychology of Video Games and Their Impact on the People Who Play Them. Lanham, MI: Rowman & Littlefield, pp 242-243. 2. Indeed, an early draft of that chapter did lead with the more team oriented game LoL, but I changed the focus to a predominantly 1v1 game like StarCraft because it simplified the discussion by letting me focus on the internal cognitions of one person without worrying about social elements of the game. 3. Kokkinakis, A.V. et al. (2017). Exploring the relationship between video game expertise and fluid intelligence. PLoS ONE 12(11). 4. Kim, Y. J., Engel, D., Woolley, A. W., & Malone, T. W. (2017). What Makes a Strong Team? : Using Collective Intelligence to Predict Team Performance in League of Legends. Proceedings of the 2017 ACM Conference on Computer Supported Cooperative Work and Social Computing, pg 2316-2329. 5. This is, in fact, what I think is probably more true. 6. For example, see Quiroga, M.A. et al. (2015). Can we reliably measure the general factor of intelligence (g) through commercial video games? Yes, we can! Intelligence, 53, 1-7. 7. Foroughi, C.K. et al. (2016). Can we create a measure of fluid intelligence using Puzzle Creator within Portal 2? Intelligence, 56, 58-64. April 16, 2019 in Articles.